AMERICAN VOD! CANADIAN VOD! & NORTH AMERICAN DVD! Check out the new V-Log with our American VOD, Canadian Re-Release of VOD and North American VOD Coming Soon! WINNER! 3'RD PLACE BEST DRAMA BIFF! We Are happy to announce our 3'rd place best drama victory at the Buffalo International Film Festival! 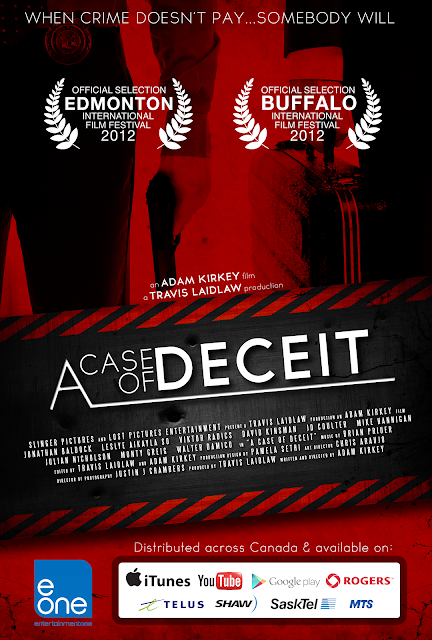 Be sure to catch 'A Case of Deceit' on Canadian VOD! FESTIVAL SELECTION & eONE CANADIAN DISTRIBUTION! 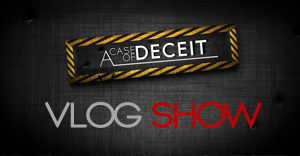 The Film Makers of A Case of Deceit are home from their festival circuit! If you missed the film in the theatre, be sure to catch it on Canadian VOD! Also be sure to watch the new FESTIVAL VLOG! 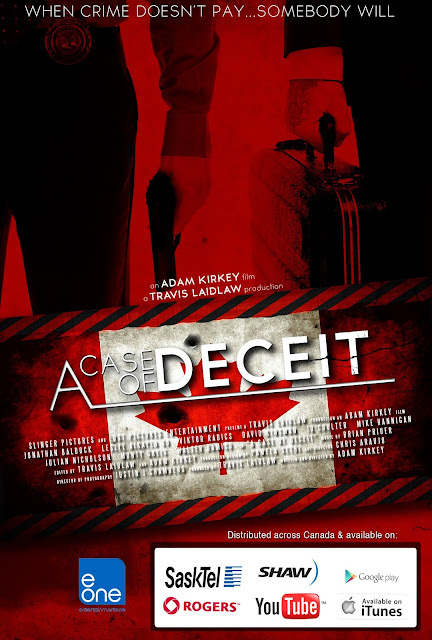 'A Case of Deceit' CANADIAN VOD! 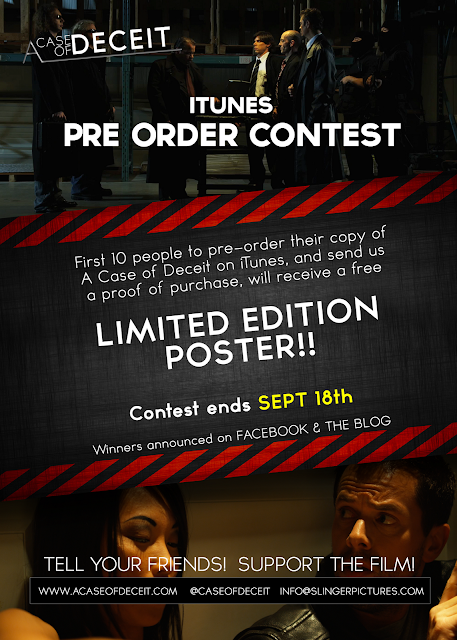 Be Sure to check out 'A Case of Deceit' A Micro Budget indie Action Movie! Made in Canada! 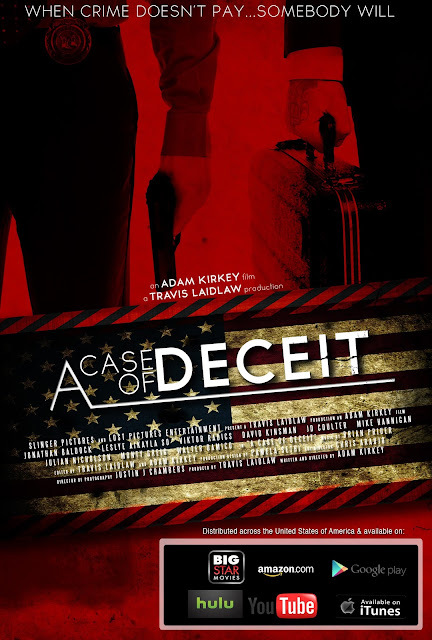 A Case of Deceit follows an edgy cop attempting to take down a notorious crime lord who discovers a double crossing deal that becomes the catalyst for uncovering an even deeper conspiracy. The Film had a micro budget, small crew, and even smaller post production team, of the Director, (Adam Kirkey) and Producer, (Travis Laidlaw) who edited did visual effects, and sound design. As well as Roy Nichol ( New Drummer of April Wine ) Who mixed the film! 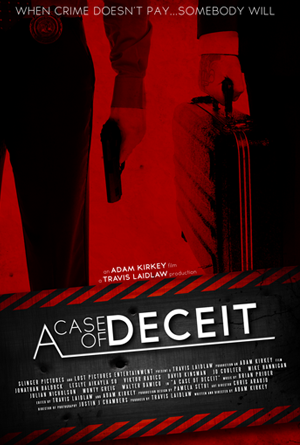 Come watch 'A Case of Deceit' and Support indie Film Making! 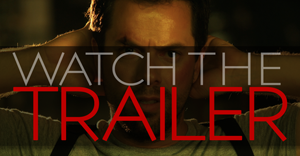 The Filmmakers are proud to announce their across Canada VOD Release through E1 Entertainment! Also please give us a high rating, and share with your friends, we appreciate all the support! 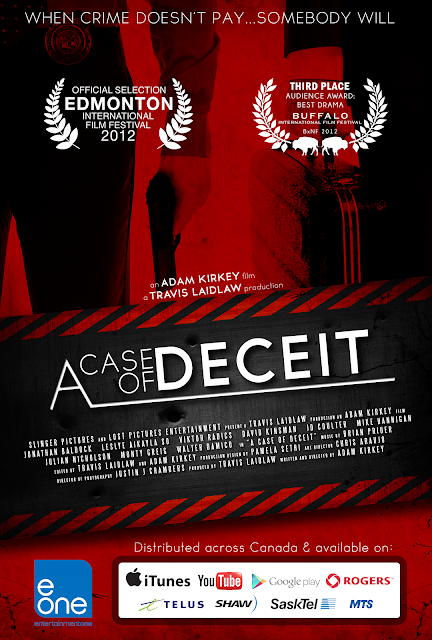 The cast and crew of A Case of Deceit are thrilled to announce their western Canada premiere, at the Edmonton International Film Festival! The Film makers will be in attendance, and will be giving a Q&A following the film! 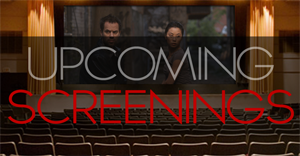 The Film will be screening September 30th 2012. Full Schedule to be announced soon on the EIFF Website. For more information visit the Edmonton International Film Festival website! Check out our new film Broke & Educated! Lost Pictures Entertainment 2011. Awesome Inc. theme. Powered by Blogger.